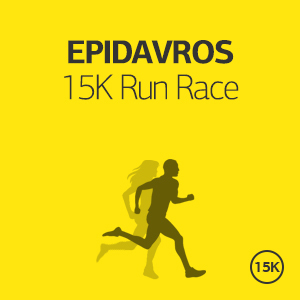 The Halandri 10K Run Race is an exciting running event taking place in one of the few open green areas of Athens located in a northern suburb near Athens, where Euripides was born. 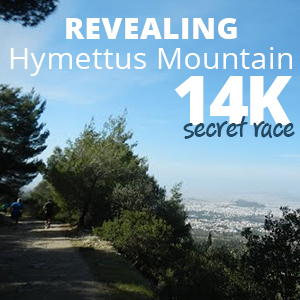 Welcome to the Halandri 10K Run Race, in one of the most interesting upcoming areas of Athens. In Halandri, the new and upcoming hot spot of Athens in the Northern part of the city, around 12 km from the center. Participating in the Halandri Run is a great chance to experience Athens life like Athenian citizen. The Halandri Run is one of the most popular races in Athens and the only one that crosses Halandri river, which is one of the few open green areas of Athens. Moreover, Halandri is a trendy and upcoming place combing great market and nightlife. If it is your first time in Athens it is an ideal way to spend a weekend in Athens and explore this great city and its outskirts! Start Time 10K: 09.00 am. Start Time 5K: 10.30 am. Start Time Children Race: 11.20 am. Registration is open until Friday, 29th of September 2017 or until a specific number of applications is reached. Participation can be obtained via online registration. The starting and finish line is in St.Nikolas square the central square of Halandri. Participants run across the Halandri river and through the streets of Halandri. There will be Aid stations to support the runners at the 5th Km and at the Finish line. At the start and finish stations and at the runners support stations bottled water and sports drinks will be available to all attendees. An Award Medal and diploma are awarded to each of the first three winners of the general classification for Men and Women Categories of each race. A commemorative medal and a diploma of participation will be given to all runners who finish the race. It starts from €70 per person (runner or not) for a two days/one-night accommodation in a 3star or equivalent hotel. If you wish to stay longer, you may add as many nights as you want for an additional €30 per night per person. √ We also offer you One Day Cruise to 3 Islands, One Day Trip to Olympia and other trips at exclusive prices! 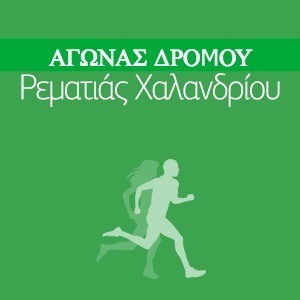 √ We can also offer you recovering training at the Olympic Stadium of Athens. √ Airfare is not included. This offer is ideal for those who want to experience Greece the “running way”, and get the most out of their visit in Athens. We have planned the perfect weekend city break.We have selected the ideal locations for you, and we will suggest you the ideal vacation plan in order to rest, enjoy and gain unforgettable memories. 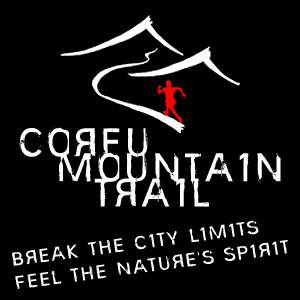 It starts from €140 per person (runner or not) for a three days/two-nights accommodation in a 4star hotel. If you wish to stay longer, you may add as many nights as you want for an additional €30 per night per person. Athens is a city with glorious history and vivid present. It is a magical city worshipped by gods and people with plenty historical monuments, such as Acropolis, the ancient Theatre of Dionysos , Odeion of Herodes Atticus, Olymbion, Roman Market, Panathinaiko Stadium or Kallimarmaro. Luxurious department stores and small intimate shops, fancy restaurants and traditional taverns, all have their place in this city. Visitors can also enjoy its nightlife. Athens by night totally changes. The options for entertainment satisfy all tastes varying from the famous bouzoukia, which are the leaders in the Athenian entertainment, to the numerous theaters all around Athens offering a different type of entertainment. Halandri is one of the most interesting and upcoming areas of Athens. It is a great place which offers its visitors a variety of choices ranging from cafes, restaurants, cinemas pubs and bars, to market and boutique shops, while the area still holds so much uniqueness to enjoy. In addition, it is close to the center of Athens, giving the opportunity to enjoy both the city center and suburb way of life.